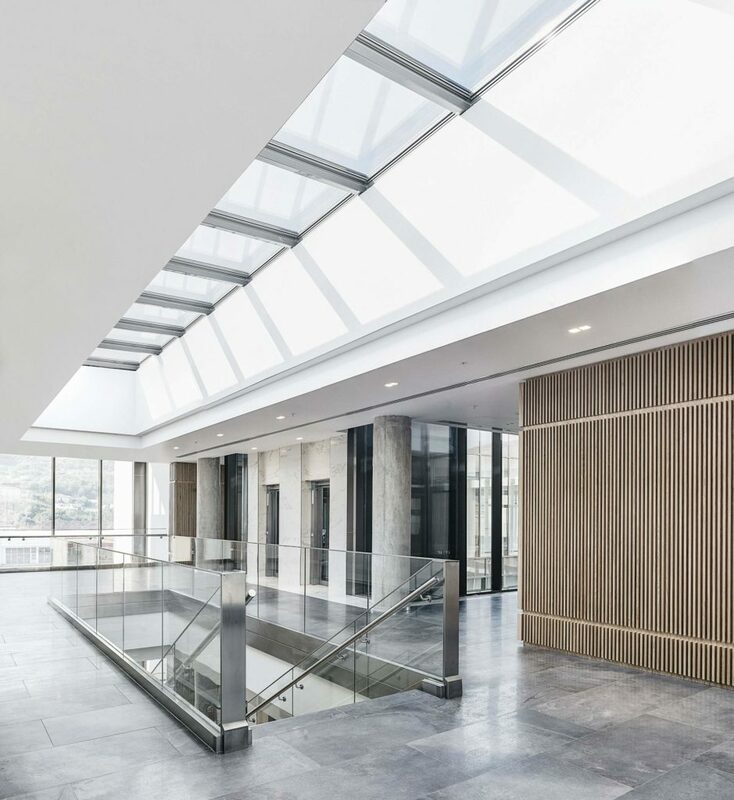 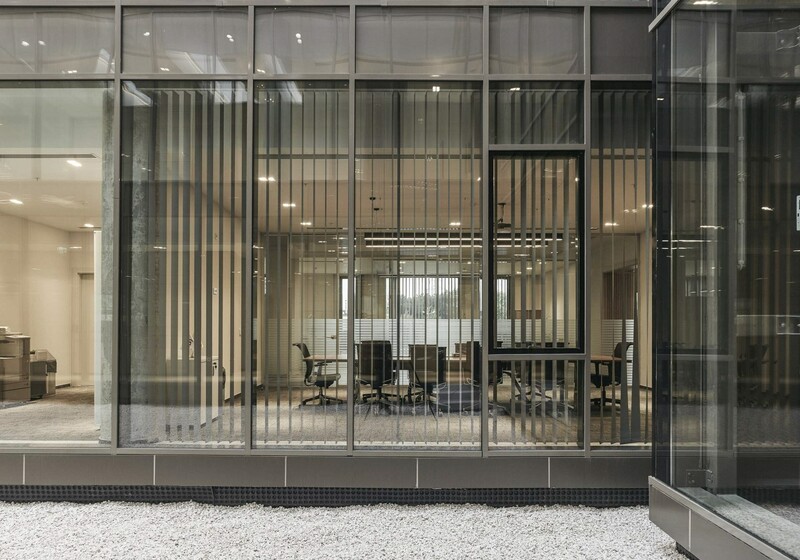 The cubic structured building has a steel and glass facade in the middle, which houses the main entrance and reception areas, allowing in plenty of natural light from both sides, thus creating a spacious and transparent atmosphere. 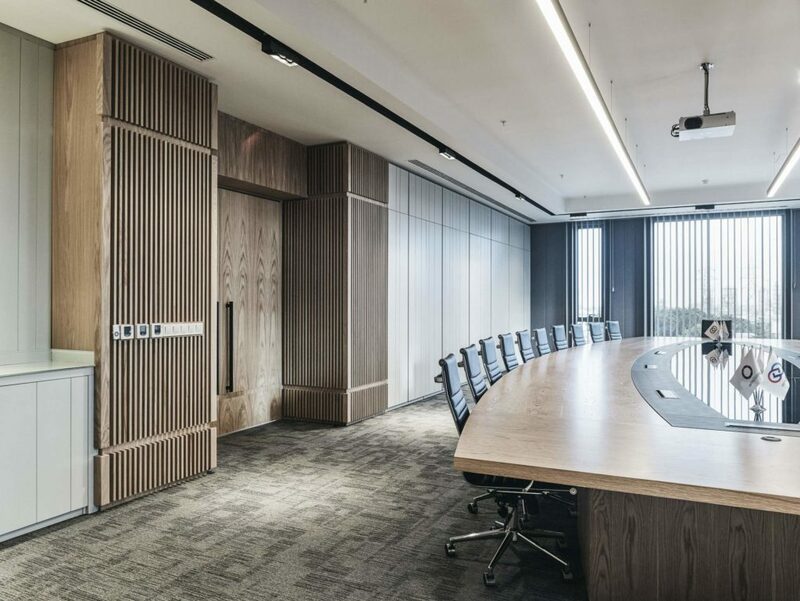 The left wing contains the administration and management offices, while all collaborative and open workstations sit in the courtyard, and the right wing houses a showroom, a large conference room and a compact amphitheater. 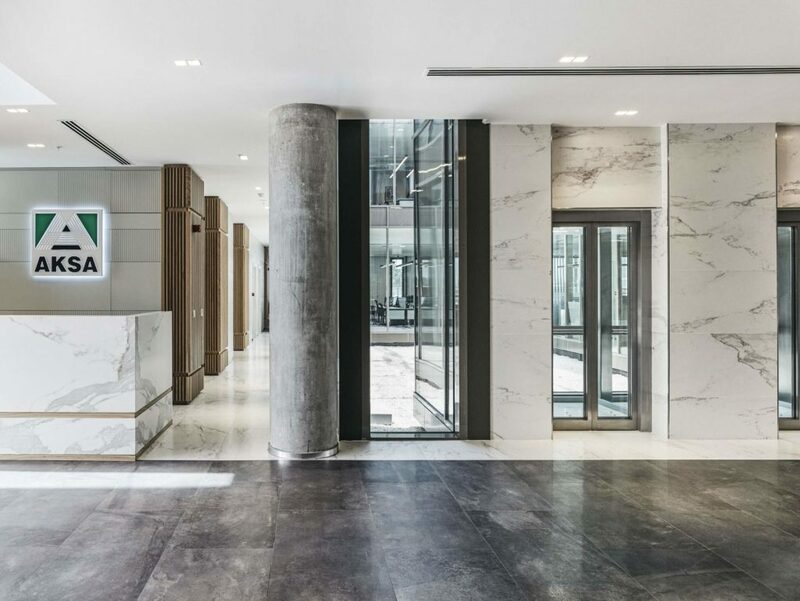 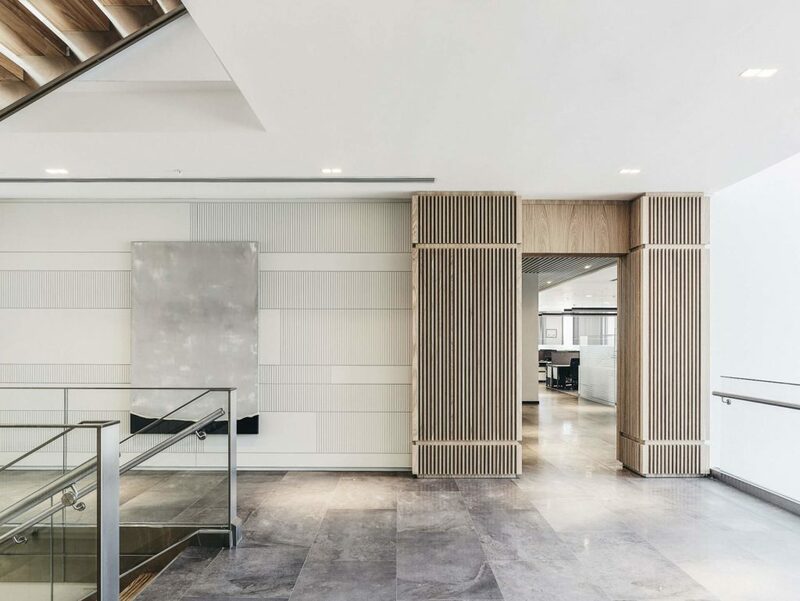 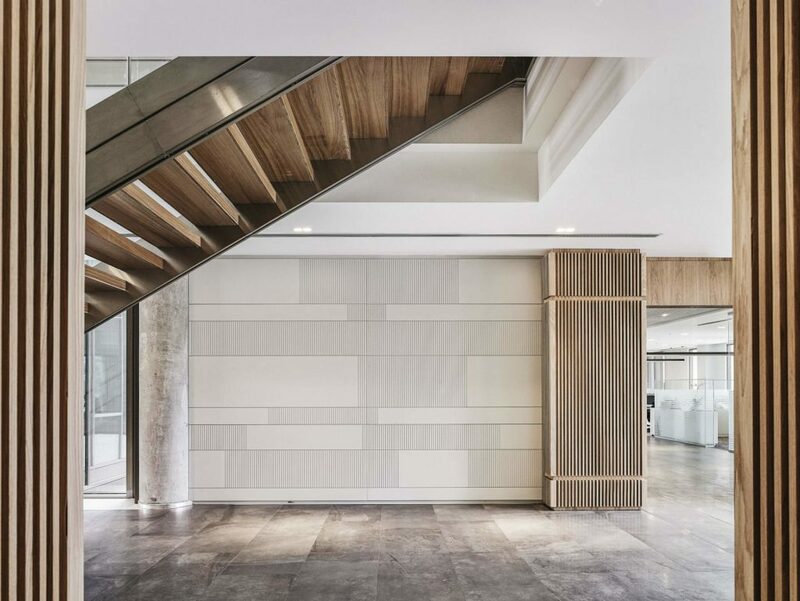 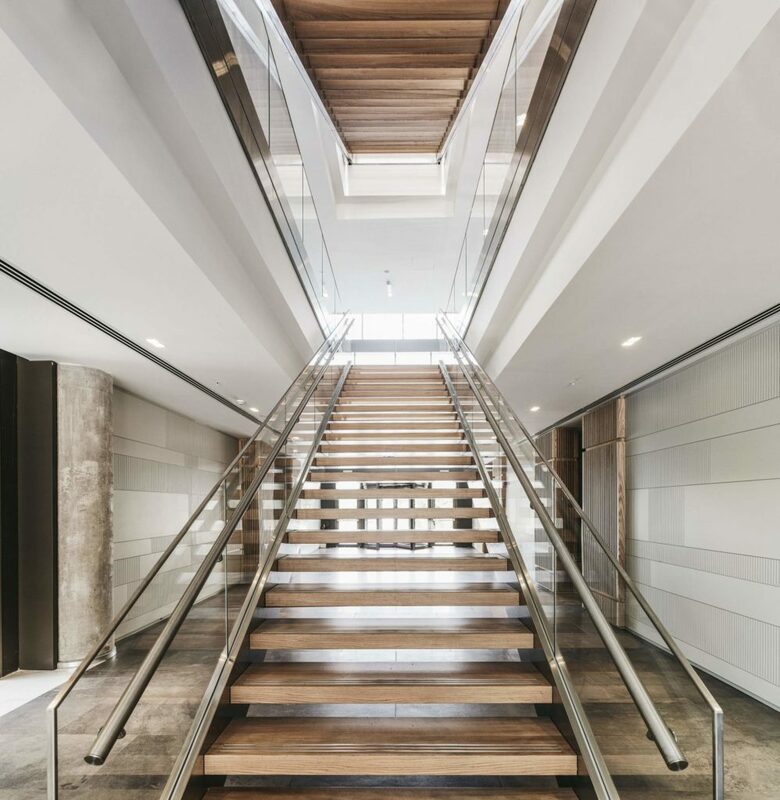 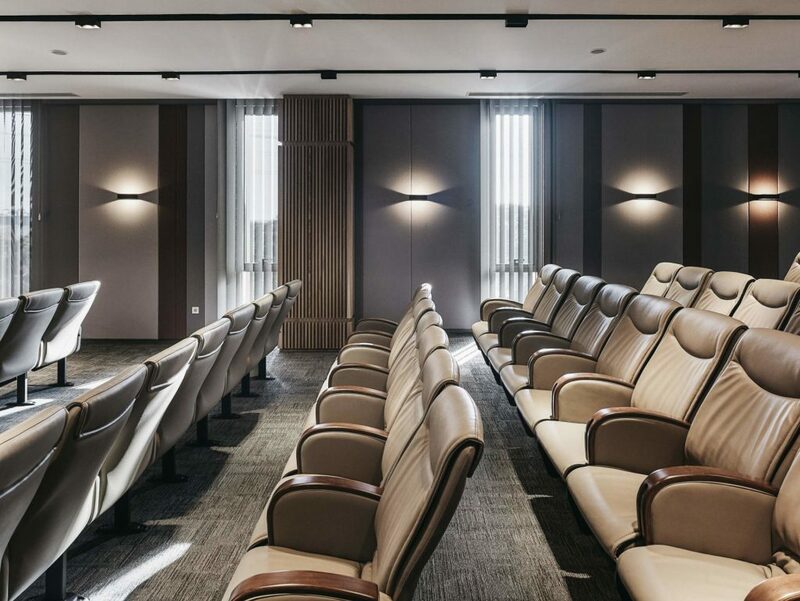 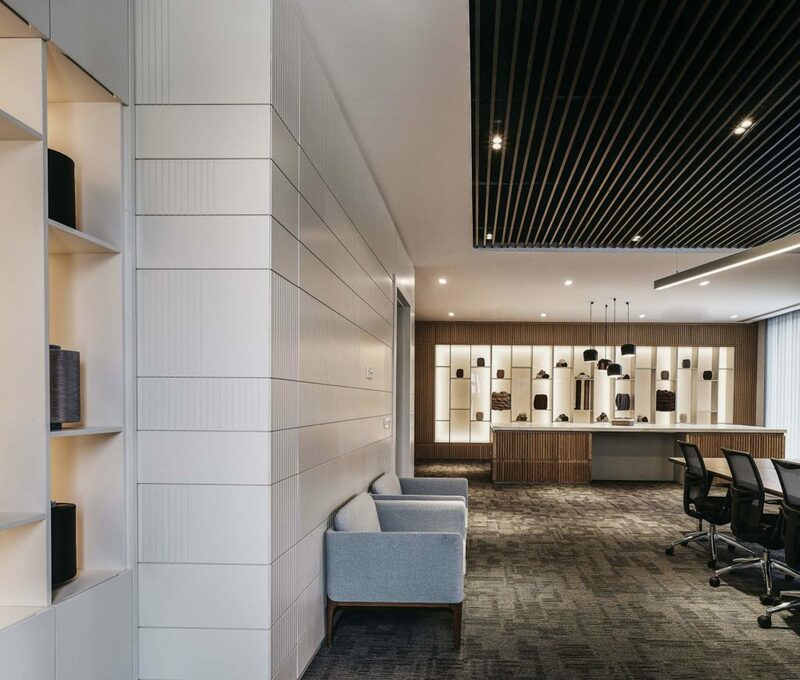 Different patterns and textures are integral to the design, and used to create a highly uniform and non-distracting office ambience with natural wood, leather and marble holding place as the main materials. 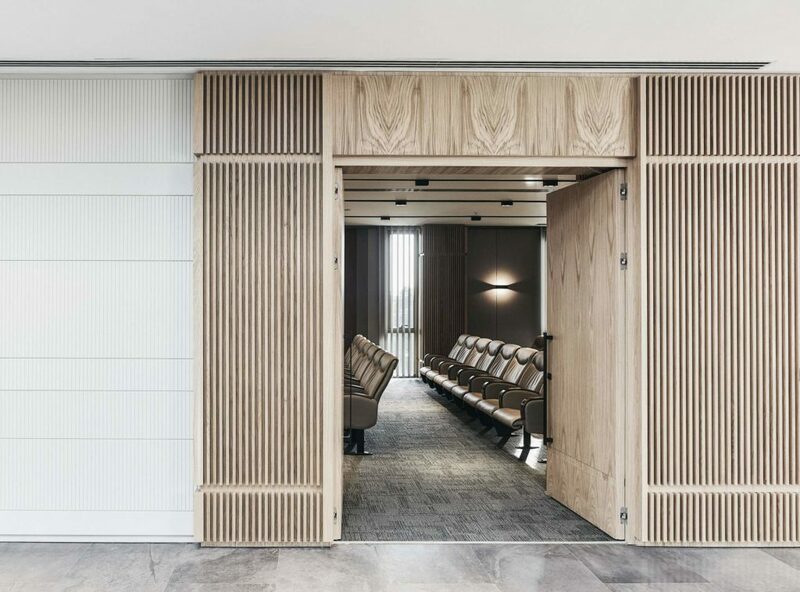 Soft, natural tones are used in the carpets, curtains and furniture to create a coherence in design along with the occasional timber wood slats on the walls. 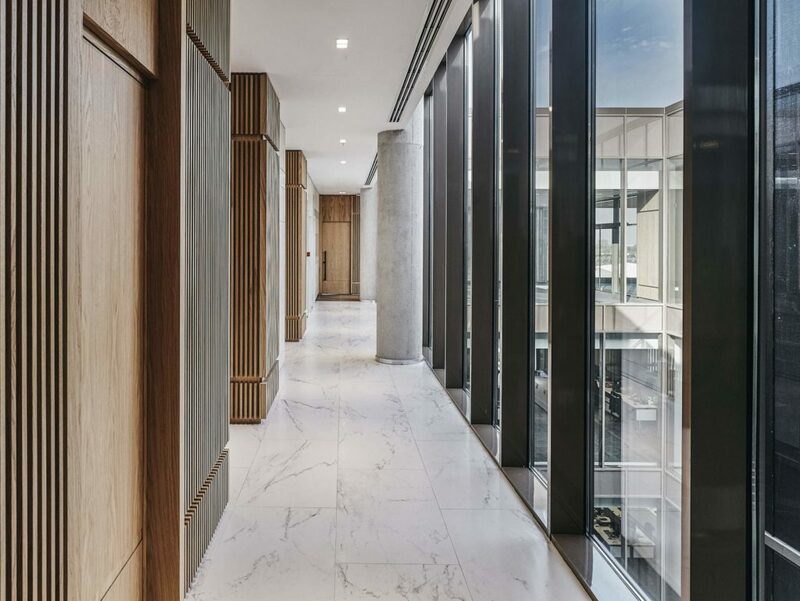 All these elements coupled with marble flooring and plenty of glass create an elegant and spacious interior.